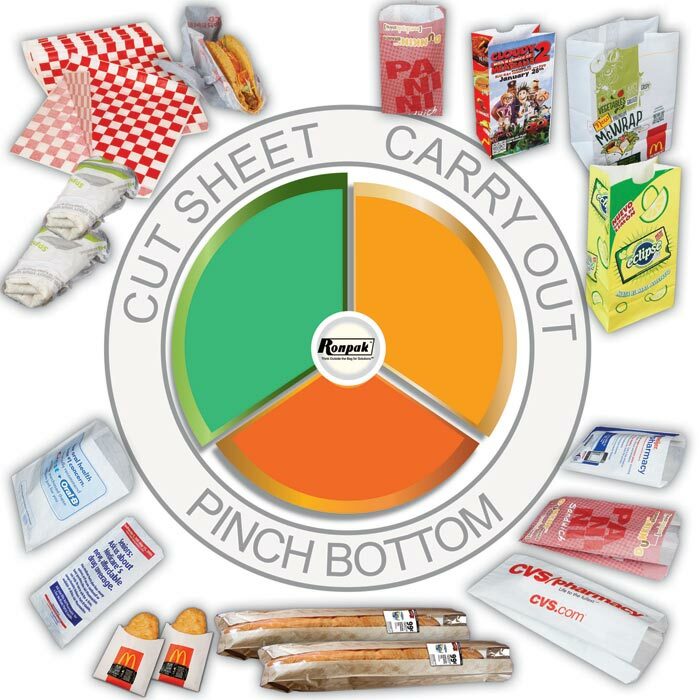 Ronpak produces an extensive assortment of paper bags with a huge range of choices. Whether it’s for Quick Service Restaurants, Bakery, Pharmacy, Convenience store, distributors or promotional applications, our goal is to provide our customers with quality packaging and world class service. For more information please contact us. All paper bags are made from a single, continuous roll of paper. A paper bag is basically a tube of paper, with a glued seam at the back or side and bottom.